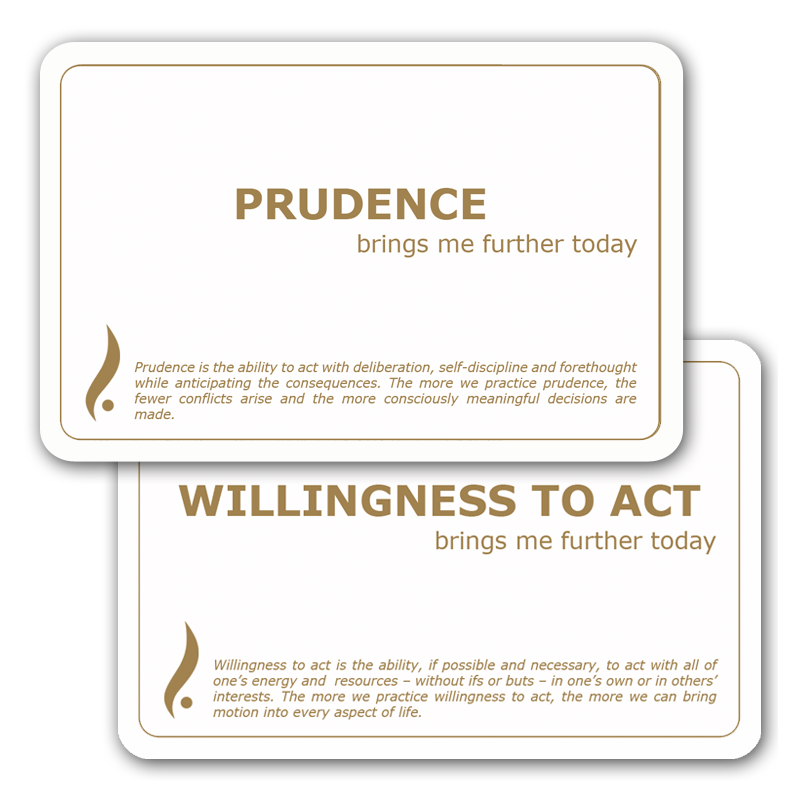 What brings me further today at work or personally? Is it trust, courage, integrity, persistance, respect or something else? 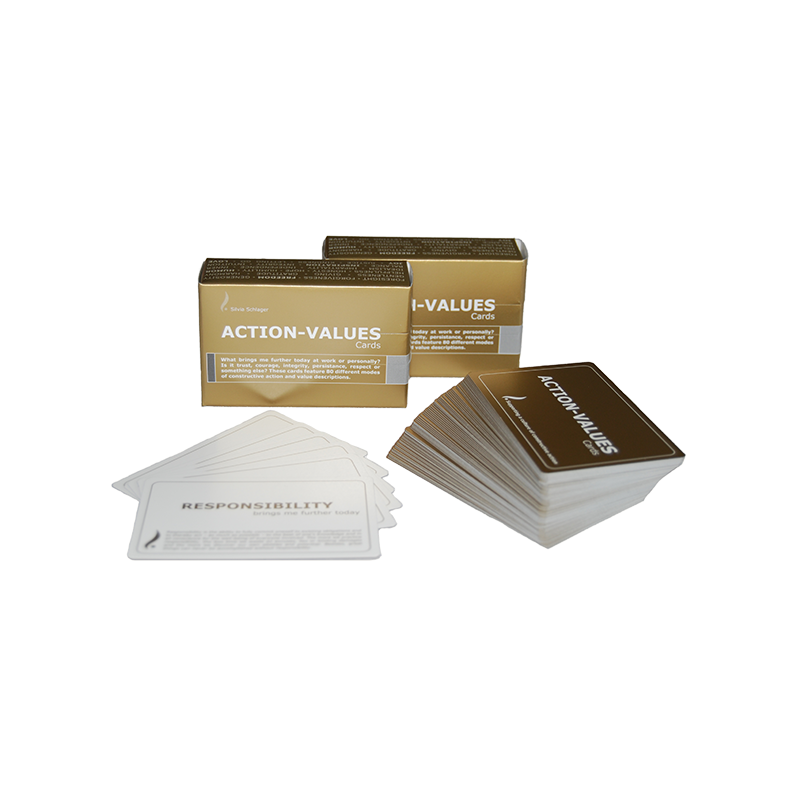 These cards feature 80 different modes of constructive action and value descriptions. 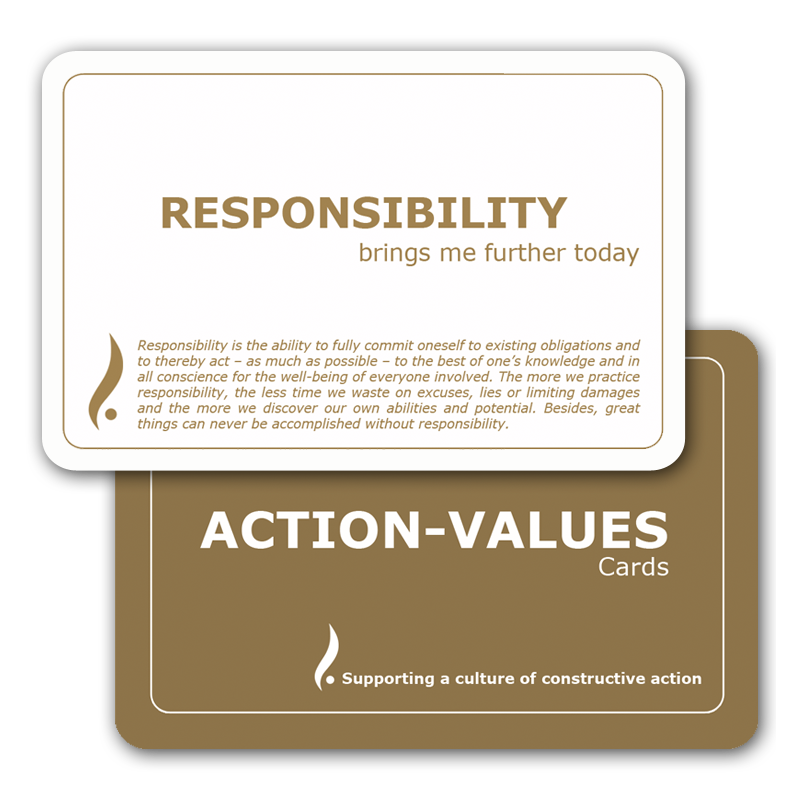 These cards are part of the LIVE YOUR BEST - INITIATIVE FOR ACTION. The main focus of this initiative is to promote a culture of constructive action in individuals, companies and society.